Brighton Toyota was a unique project and the first of its design being the prototype for the remainder of the Toyota Motor Corporation developments across the country. SJ Higgins Group worked closely with the architects to help them develop and achieve their desired details in the most effective manner. 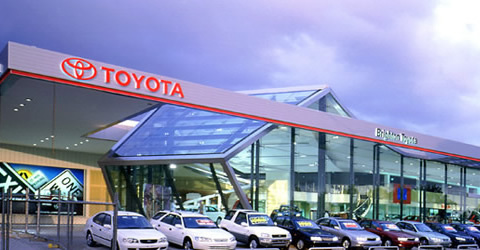 The project consisted of a new complex for the Toyota Motor Corporation on the high profile Nepean Highway site in Elsternwick to accommodate sales, displays, service, amenities and administration facilities. 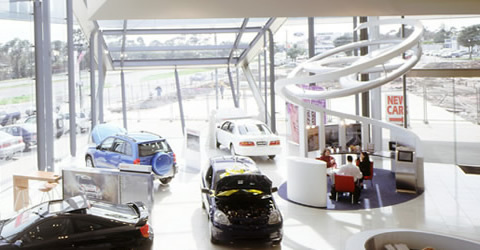 The project incorporated two used car buildings, a service centre with administration and training facilities, a detailing building, the Lexus Showroom with service/ administration and the centre piece of the development, the main Toyota new car sales building. All buildings are located within a vast area of landscaping and concrete paving. 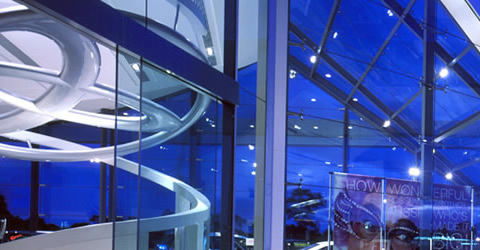 A feature wall runs from one end of the site to the other separating sales areas from service and storage facilities. 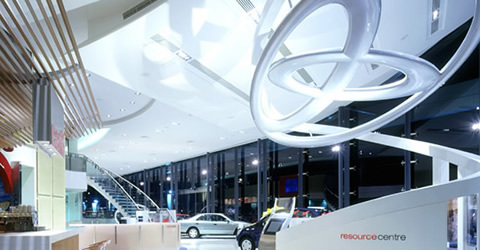 The combination of demolition, innovation, relocation, construction and operation demanded a skilled process from planning to organising a staged development with the prime notion to minimise disruption of the ongoing Toyota operations. This was completed with minimal effect on the public in the highly populated areas while always maintaining strict public safety procedures at all times. 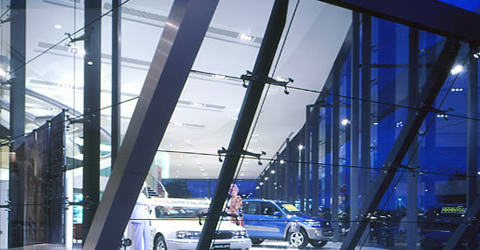 The main Toyota showroom incorporates cutting edge design with the unique structural steel framing and frameless glass combination while still maintaining Toyota’s familiar corporate image, which was an important criteria to achieve.